Booking on this website is simple and hassle-free. Simply select the accommodation of your choice. With such a variety of hotels, motels and serviced apartments in Australia, we cater for every traveler. Accommodation is available for business and leisure travelers alike. We also cater for couples, families and group travel. So why not book now and enjoy the best discounts in Australia SAVE SAVE SAVE!!! St. Ives, Hobart Motel & Apartment accommodation is centrally located in quaint, historic Battery Point in the heart of Hobart's tourist centres. Their luxury fully equipped accommodation includes studio, 1 & 2 bedroom apartments. Minutes from Hobart's waterfront and the aquatic and fitness centre, the Botanic Gardens and the famous, exotic Salamanca Market. A short drive away are Mt Wellington, the Cadbury's Chocolate factory, Wrest Point Casino and the Domain Tennis Centre. About the Special Stay for only $109 per night in a fully self contained One Bedroom Apartment. Walking distance to Hobart's CBD and waterfront precinct. 5 Minutes walk to Salamanca Place saturday market and great restaurants. FREE off street parking. Editor's Comment Fantastic Hobart self contained accommodation. Mayfair Plaza Motel provides unique accommodation set in a small business complex. Enjoy a browse along the Sandy Bay Road shops and afterwards enjoy a light snack or coffee at one of the many eateries and restaurants in the area. Mayfair Plaza Motel is sure to surprise and delight. Superb facilities, coupled with our focus on guest comfort will provide an enjoyable stay whether it is for business or just a relaxing time away in Hobart. Travellers requiring the finest in accommodation enjoy a flexible mix of well appointed 4 star spacious and superior quality rooms. All the rooms have air-conditioning / heating, tea & coffee facilities, hairdryers, mini bar, are non-smoking, have direct dial room phones and free cable TV. We also offer laundry facilities, free off street and undercover parking, ramp access to all areas and there are a number of dining facilities in the complex. In addition to the customary appointments normally found in a 4 star motel you can relax with our luxury features including leather furniture, dining setting, air-conditioning and spacious style living. All the rooms face into a quiet courtyard oasis with ramp access to both levels. Just minutes away from the Wrest Point Casino and Convention Centre, Salamanca market, historic Battery Point, Hobart CBD and yacht clubs, the Mayfair Plaza is an ideal base from which to explore southern Tasmania. About the Special Sleeps up to 2 people in a King or Queen Bed. Very large ensuite NON-SMOKING rooms with heating, air-conditioning, tea & coffee facilities, hairdryer, mini-bar, direct dial phones, television with cable TV. Editor's Comment Enjoy Hobart and stay at this affordable motel accommodation in Sandy Bay, Hobart. Close to many Hobart attractions and enjoy friendly hospitality as you explore the southern region of Tasmania. Fountainside Hobart hotel / motel offers four star luxury accommodation in Hobart and is conveniently located close to the Hobart airport, Hobart City Centre and only a 1 hour drive from Port Arthur. Accommodation in this delightful Hobart hotel comprises spacious and luxuriously appointed motel suites, set in a beautiful setting, equipped with all the facilities required to ensure a very pleasant stay. About the Special Hobart CBD accommodation winter special available for only $110. Fully refurbished, luxury accommodation comprising elegant ensuite bathrooms, air conditioning and fantastic views across Domain parklands. Short walk to Salamanca, waterfront, grand chancellor. FREE off street parking. The Old Woolstore Apartment Hotel is perfectly located in the heart of the city, surrounded by a host of cafes, shops, history and activity, yet only a short stroll from Hobart's CBD. Whether you are travelling on business, looking for a vacation or holiday package, seek affordable or luxurious accommodation or want a last minute deal, we offer really competitive rates. About the Special $131 hot deal for a Queen bed air-conditioned room with TV with 15 channels, tea, coffee, toast making facilities, separate bath and shower. FREE parking, and use of business centre and gymnasium. 2 Continental breakfasts included in rate. The Best Western Balmoral Motel Hotel Hobart is situated at 511 Brooker Highway, five minutes drive from the centre of the capital city of Tasmania, Hobart. This highway is en route to the North, North West and Western regions of Tasmania. Being in such a central location enables guests to enjoy the many and varied attractions of Hobart within minutes of leaving the Balmoral Motel. The wharves are amongst the deepest in the world and encompasses the docks where fishing boats and yachts tie up. Hobart's Salamanca place, also on the waterfront, houses many old warehouses which have been converted into offices, cafes, restaurants and shops, the latter selling wares which are a shoppers delight. About the Special Stay in a Standard Twin Motel Room with a double and a single bed. This Hobart Motel is located only 7km from Hobart CBD. 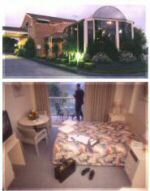 This is great accommodation close to the Hobart city. Why pay more in the heart of Hobart CBD when you can stay at the Balmoral motel Hobart and save. Editor's Comment Quiet, relaxed Tasmanian hospitality at its best and still close to Hobart and it's attractions. A greaty base from which you can explore Tasmania. The Midcity Hotel Hobart offers accommodation right in the heart of the CBD. Our hotel is just a short stroll to the popular ethnic eateries of North Hobart or to Salamanca Place and the wonderful Sullivans Cove waterfront area with its seafood and modern cuisine restaurants. The Midcity Hotel offers a range of accommodation rooms over five floors, all accessible by lifts and affording great views across Hobart and towards Mount Wellington. The Mid City Bar & Cafe and the Oasis Gaming Lounge are open all day for your enjoyment. About the Special Stay for 5 nights at the Midcity hotel Hobart and receive our special discount accommodation rate. Our great Hobart city centre location provides easy access to shops, restaurants and the historic attractions in and around Hobart. We provide Free car parking at our hotel and our cafe, bar and gaming lounge are open all day. This discount acommodation special in only available on the internet. Bay View Villas is located in quiet and picturesque West Hobart just minutes from the CBD and all local attractions and offers quality two or three bedroom, fully self-contained double storey villas for your stay in Hobart. This Hobart accommodation is ideal for families or groups, offering a wide range of facilities including games room, heated indoor swimming pool, children's playground and BBQ area. It is a perfect base from which visitors can experience the magnificence of Southern Tasmania. About the Special Two storey, 2 Bedroom Villa comprising of 1 queen bed and 2 single beds and fully self contained including Tea/Coffee Making Facilities, Kitchen, Microwave, Refrigerator, Direct Dialling Phones, Air Conditioning, Television, VCR, DVD and Alarm Clock. Free car parking and use of indoor pool is included in rate. About the Special This accommodation is well priced from $95 per night. Standard Double/Twin is a standard hotel room with one double and one single bed, bathroom ensuite, colour TV, refrigerator, tea/coffee making facilities. A maximum of three people can stay in this comfortable room. Editor's Comment A great opportunity to stay in Hobart from $95 per night. Grosvenor Court is nestled amongst some of Hobart's oldest heritage properties in a quiet garden setting. Beautifully refurbished, Grosvenor Court Apartments offer the finest in accommodation. Our superb facilities and great location will delight you. The pure air and sparkling water of this beautiful island are yours to enjoy. Grosvenor Court Apartments are located within easy walking distance to Sandy Bay beach, the Hobart city centre, Salamanca Place, Battery Point and Constitution Dock. The accommodation is of excellent value and ideally located near Hobart's most popular tourist areas. About the Special The 3 Bedroom corrage contains 2 double beds and 4 single beds. There is a private Courtyard with BBQ and private driveway can park up to 3 cars. Beautifully refurbished including dishwasher. Maximum occupancy is strictly 8. Free DVD hire, Austar & off-street Parking. Editor's Comment Stay here from only $244 per night and save on great accommodation. The best value 3 bedroom accommodation in Hobart. Club Crocodile Resort Airlie Beach is a 160 room, multi-award winning tropical resort situated in the heart of the Whitsundays at Airlie Beach. Your holiday will combine the variety and excitement of mainland Airlie Beach with the wonders of the Great Barrier Reef and the spectacular Whitsunday Islands. From the moment you step into the foyer, to the day you reluctantly leave, you'll always feel welcome with the friendly staff on hand to make your holiday memorable. About the Special Romantic Getaway - Rate includes Tropical breakfast for two adults. Enjoy the relaxation you deserve! Why not spoil yourself and indulge in a Deluxe room with Queen size bedding and private balcony with great outlook, airconditioning, ensuite bathroom, colour TV, room safe, fridge, radio, phone & tea/coffee facilities. Perfect for that Romantic Escape! Located only 400 metres from Airlie Beach City Centre, Best Western Colonial Palms Motor Inn is the perfect spot to stay when exploring Airlie Beach, the beautiful Whitsunday Islands and the Great Barrier Reef, as well as surrounding National Parks and scenic drives. Providing comfortable and spacious rooms and family apartments, you are within easy walking distance to many restaurants, bars and nightlife in Airlie Beach. All rooms overlook Boathaven Bay and our tropical garden surrounds. Relax in either of our 2 pools and the outdoor spa, sip on a cocktail from the Colonial Palms cocktail bar and enjoy a meal at The Palms Licensed Restaurant. About the Special Motel style ensuite room with queen bed, air-conditioning, fans, TV, tea/coffee making facilities, fridge, and free cable TV. Some rooms with extra single beds. Editor's Comment An affordable accommodation offer located so close to Airlie Beach CBD and a great base from which to explore the beautiful Whitsundays Islands and Queensland's Great Barrier Reef. Enjoy scuba diving, snorkelling, sailing, swimming and more in Airlie Beach, then relax in your unit at the end of fun-filled day at Paradise Court Holiday Units. The accommodation is located in the heart of the Whitsundays, one of the best and safest sailing, diving and aquatic playgrounds in the world. The units have a reputation for cleanliness and comfort, all studios are on the ground floor, are fully self contained, with ensuites, fitted with security and fly screens, have easy access for the disabled, reclining lounge chairs and comfortable queen size beds for your relaxation, in your peaceful room away from the noise in Airlie Beach. About the Special The Family Studio is a large fully self contained (including microwave) studio unit with ensuite, A/C, celing fan, reclining lounge chairs, remote controlled TV & dining table. Vacation in the Great Barrier Reef and experience the exciting, award winning Long Island Resort in the Whitsundays. Long Island Resort offers holiday accommodation from absolute Beach Front rooms to budget accommodation. Long Island Resort is a popular, family, couples, honeymoon and wedding destination. Situated in the heart of the enchanting Whitsundays and is a tropical island getaway surrounded by National Parks and sparkling blue waters. Relax under the palm trees on the beach or enjoy some of the countless island activities or explore the 20 kilometres of bush walks considered by many to be some of the prettiest in the Whitsunday Islands group. About the Special This magnificent room, only metres from the sand, features a Queen and Single bed, air-conditioning, ensuite bathroom colour TV, in-house movies, phone, radio, fridge tea/coffee making facilites, Room safe, balcony, hairdryer and iron & ironing board. Editor's Comment The Beach Front Room opens onto the beach and with the low rate of only $295 dollars per night for 7 nights, this opportunity is simply too good to miss. The Airlie Beach hotel is offering luxury accommodation in Airlie Beach, Queensland. Airlie Beach is located in the heart of the Whitsunday Islands. It is the perfect location from which to base your discovery of the Whitsundays world famous attractions, including Great Barrier Reef, Whitehaven beach, scenic flights, scuba diving and snorkeling, skydiving, reef and game fishing. The Airlie Beach Hotel has the unique advantage of being located on The Esplanade, offering our hotel guests fantastic sea views, as well as on the main street of town, providing you with ease access to the many shops, cafes and restaurants in Airlie Beach. Accommodation in our hotel comprises new luxuriously appointed hotel rooms, refurbished motel style rooms and spacious self-contained accommodation suites. About the Special Stay 7 nights at the Airlie Beach Hotel and receive a discount for accommodation in our Standard Twin Hotel Room. Our Hotel rooms have spectacular views of the beach, and are close to the shops and restaurants of Airlie Beach. FREE security undercover car parking. This is affordable hotel accommodation in the heart of the Whitsundays. Located in North Adelaide, stay in 4-star serviced apartment accommodation whilst visiting Adelaide, North Adelaide and seaside Glenelg. Providing modern and spacious apartments, this Adelaide accommodation is city living with a village atmosphere. Located close to the Adelaide Zoo, Botanical Gardens, Adelaide Oval, the Casino, Festival Centre & Entertainment Centre. About the Special Spacious and modern 2 Bedroom Apartment with 1 queen and 2 single beds or 1 Queen & 1 Double. Includes Daily Housekeeping Service If Booked For 3 Or 4 Nights. One Weekly Housekeeping Service For 7 Nights Or Longer Rate includes COMPLIMENTARY Use Of The Pool, Spa, Suana and Gym. All rates subject to availability. Editor's Comment Fantastically cheap rate for apartment accommodation. Unbelievable value for money!! Located in central Adelaide, enjoy the recent refurbishments and facilities on offer at the Mercure Grosvenor Hotel when next visiting this South Australian capital city, whether for business or leisure. Offering a range of budget and luxury accommodation, the Mercure Grosvenor is a fantastic property from which to explore all of the city attractions and sights. About the Special Small conventional room with 1 bunk bed containing a double bed on the bottom & single bed on top. A versatile room that can be utilized as a twin or double hotel room. Facilities include direct-dial phone, colour TV, Foxtel, radio, tea coffee facilities, ensuite bathroom & in-house pay movies. Great budget accommodation in Adelaide. Editor's Comment Great value for money accommodation in the heart of Adelaide CBD. Located in cosmopolitan North Adelaide, the Vines Apartments provide excellent accommodation in either studio apartments or two bedroom apartments. Fantastic for corporate travellers, families and couples on an Adelaide getaway, these apartments are fully self contained with self catering facilities. Visit all the sights and attractions in Adelaide CBD which is only a short distance away, take a day trip to the Barossa Valley to sample some of South Australia's famous wineries, and then enjoy a meal at one of the trendy cafes and restaurants along Melbourne Street in North Adelaide. About the Special 2 bedroom apartment with fully equipped kitchen, balcony, remote TV/video, fully equipped laundry and security access. These are modern apartments surrounded by cafes and restaurants in lively Melbourne Street, North Adelaide. Bedding comprises of 1 queen bed and 1 single bed. Editor's Comment Fantastic apartment accommodation located in cosmopolitan North Adelaide with easy access to Adelaide CBD! Enjoy all the sights and attractions that Adelaide has to offer and stay in quality 4-star motel accommodation at Best Western Adelaide Riviera. Perfectly positioned within the city on North Terrace, our motel is within easy distance of shopping, dining and entertainment precincts in Adelaide CBD. North Terrace is the location of many Adelaide attractions including Adelaide Festival Centre, Parliament House, Adelaide Casino and the Art Gallery of South Australia. Our fully licensed cafe-restaurant - Cafe 31 - overlooks North Terrace and offers innovative dining in a relaxed ambience and is open for breakfast, lunch and dinner. All 84 of our motel rooms are spacious with modern facilities and comfortable decor. Accommodation ranges from standard double and twin motel rooms to executive suites, and are ideal for the budget conscious traveller whether visiting Adelaide for business or leisure. About the Special Our Spa Suites have an ensuite bathroom with large corner spa, mini bar, air conditioning, colour television, complimentary tea and coffee facilities. WARM UP IN ONE OF OUR LARGE CORNER SPA'S!! Indulge in our luxury Spa Suites. Enjoy FREE 12 noon check out. FREE secure on site car parking (subject to availability) Our licensed Cafe is open 7 days. Editor's Comment Indulge in a little luxury at very affordable rates in Adelaide!! Comfort Inn & Suites Sombrero is located only 6 kilometres north of Adelaide city centre. Comfortable and spacious 4-star accommodation able to cater for up to 4 guests in apartment style and motel suite accommodation. Dine in the restaurant, sample the room service or head into Adelaide CBD. Easy access to North Adelaide too. Secured car parking available on site. About the Special The Family Suites are perfect for short stays. Consisting of two adjoining rooms; a queen bed in one and 2 or 3 single beds in the other, they are ideal for that extra bit of privacy. All suites are serviced daily and include an ensuite, colour TV with pay TV channels, direct dial telephones, data points, hair dryer, iron and ironing board, reverse cycle A/C and continental breakfast. Editor's Comment Great accommodation just north of Adelaide CBD. Offering open and spacious studio, 1 & 2 bedroom apartments, the Oxford Terraces Apartments are ideally situated in Adelaide. Our fully self contained apartments contain contemporary furnishings and include a fully equipped kitchen (including microwave), laundry facilities, lounge suites, reverse cycle air conditioning, remote controlled TV & video, intercom security access and balconies. Our apartments have easy access to many fantastic Adelaide restaurants, cafes, retail precincts and entertainment venues, and they are within walking distance to public transport, Adelaide CBD and many beautiful Adelaide city parklands. About the Special Our self contained 2 bedroom apartments can accommodate up to 4 guests in a queen bed and 2 single beds. All apartments have a fully equipped kitchen, microwave, laundry and lounge suite. Take advantage of the economical rates on offer when booking 5+ nights at our conveniently located apartment accommodation in Adelaide. Editor's Comment Excellent value for money apartment accommodation in Adelaide! Located in the heart of Adelaide CBD, Franklin Central Apartments provide serviced apartment accommodation situated close to all the dining, shopping and entertainment precincts in central Adelaide. These contemporary and self contained apartments are ideal for any length of stay, whether visiting Adelaide for business or pleasure. Editor's Comment Spacious and comfortable Adelaide accommodation. Located in the heart of Adelaide, the Windsor Apartments provide spacious executive two and three bedroom serviced apartments that are fully self contained with complimentary car parking available on site. Walk to all city attractions, shopping, the CBD, restaurants & cafes, and North Terrace is also an easy distance away. Great weekly, monthly and long term rates available. About the Special Stay in Adelaide's premium 2 bedroom apartments. Features 2 bathrooms, fully equipped kitchen and laundry, lounge/dining, modern designer furnishings, study desk and study area, large windows, balconies with beautiful views, reverse cycle airconditioning, TV/DVD, internet dial up connect, direct dial/ISD telephones, intercom access. Bedding configurations can be 1 queen size bed and 2 single size beds or 1 queen size bed and 1 double size bed. Editor's Comment Luxury apartment accommodation at such affordable prices. Great long term rates available! Enjoy all the sights and attractions that Adelaide has to offer and stay in quality 4-star motel accommodation at Best Western Adelaide Riviera. Perfectly positioned within the city on North Terrace, our hotel is within easy distance of shopping, dining and entertainment precincts in Adelaide CBD. North Terrace is the location of many Adelaide attractions including Adelaide Festival Centre, Parliament House, Adelaide Casino and the Art Gallery of South Australia. Our fully licensed cafe-restaurant - Cafe 31 - overlooks North Terrace and offers innovative dining in a relaxed ambience and is open for breakfast, lunch and dinner. About the Special "HOT DEAL" Comfort & convenience. City location, spacious double room with full amenities. FREE secure onsite car parking (subject to availability) ALL rooms have windows that open and great views. Closest motel accommodation to Entertainment Centre. Editor's Comment Excellent rates the longer you stay! The Plaza Hotel Adelaide is a Colonial estate building and is situated in the heart of Adelaide's entertainment precinct in Adelaide CBD. Located on one of Adelaide's most famous and busiest streets, Hindley Street, our budget hotel accommodation is only a short walk from the Adelaide Casino, Adelaide Convention Centre and a huge variety of restaurants, cafes, shops, pubs, clubs and nightlife entertainment. Our 24 hour reception ensures every guest need is met at any time of the day or night! The hotel rooms are air-conditioned and include private facilities in the rooms. We offer the best value for money budget hotel accommodation in Adelaide. About the Special Stay in one of our Double Ensuite Rooms right in the heart of Adelaide CBD. Our Double ensuite rooms sleep a maximum of 3 people and include air-conditioning, colour TV, fridge, telephone, opening windows, writing table and a full private bathroom. These rooms are made up daily and also include a re-supply of tea and coffee daily. Bedding comprises of 1 Queen bed or 1 Double bed & 1 Single Bed. Editor's Comment Budget hotel accommodation in the heart of Adelaide CBD. Celsea Apartments provide accommodation with the ultimate in style and stunning views to the City, hills and parklands. The two bedroom accommodation with open living extends onto magnificent terrace balconies. The apartments are located just a few minutes walk to the City centre, incorporating the Central Markets, Hospitals, Universities, State Library and the Mall’s retail hub. The Chelsea Apartments will make your stay in Adelaide enjoyable and memorable. About the Special Beautiful, boutique style apartments offering an attractive selection of two bedrooms plus study with open living extending onto magnificent terrace balconies. Editor's Comment Four guests per room can make use of this truly great special of only $162 dollars per night. Providing unparalleled charm and character, City South Apartments offer you a friendly, affordable accommodation in secure self-contained apartments in Adelaide. Situated in a quiet environment, City South Apartments Adelaide is only a short stroll to the Adelaide CBD. The Central Markets, which have a wide selection of gourmet restaurants, cafes and stalls, are close by, while the airport is only 7 kilometres from your accommodation. About the Special Providing unparalleled charm and character, this stunning 2 bedroom apartment has contemporary furnishings, reverse cycle air conditioning, remote controlled TV and video, balconies and intercom security access. Four guests can stay in the apartments for o0nly $138 dollars per night. Editor's Comment A great opportunity to stay in Adelaide for less. Enjoy the quiet location of our apartment accommodation which is located an easy stroll from the Adelaide city centre and Adelaide city parklands. A relaxing outdoor area surrounds the apartments - including a full sized tennis court - to create a sense of openness, and there is lift access to all floors and undercover parking. Our self contained apartments are perfect for both short and longer term stays to Adelaide. Enjoy the spa and sauna after an exhausting day at the office or long day of shopping and Adelaide sightseeing. About the Special Make our spacious 2-bedroom apartments your home away from home when next visiting Adelaide. Situated in a quiet location and within an easy stroll of the city centre and park lands, our apartments contain a fully equipped kitchen, microwave, laundry, bathroom and lounge suite, reverse cycle air conditioning, remote controlled TV and video, balcony and intercom security access. There is lift access to all floors and undercover parking is available. Quality accommodation that is ideal for both business and leisure travellers visiting Adelaide. Editor's Comment Self contained apartment accommodation in Adelaide at affordable prices. 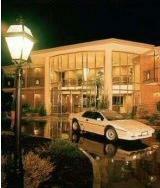 Sundowner Adelaide Manor Motor Inn offers classy accommodation in a stylish Tudor style property. The Adelaide Manor, set in elegant surroundings, is ideally situated on the northern approach to Adelaide, which is just 10 minutes drive away. Guests of the Motor Inn are offered our warm, friendly hospitality along with 4½ star accommodation. Each suite of the offering comfortable queen size beds along with many other guest amenities. Editor's Comment Wonderful special for this Adelaide accommodation. Cheap budget hotel accommodation. Brilliant Adelaide location! Located in the elegant seclusion of Hindmarsh Square, Pacific International Suites - Adelaide offers accommodation with the unique combination of a central location with a peaceful environment. Pacific International Suites ? Adelaide, one city's finest hotels, boasts a prestigious, city centre location with easy access to all major attractions. The hotel offers a selection of spacious studio, one and two-bedroom suites all with balconies or a terrace that offer superb views of the city and the Adelaide Hills. About the Special Features two bedrooms (45-59sqm) with one queen & one single bed (sleeps 3), opulent living area, parkviews, some with balcony, kitchen, mini bar, broadband internet, TV with 10 free Foxtel channels, pay per view movies and CD stereo hi-fi system. Editor's Comment Stay in this spectacular 2 bedroom apartment for only $130 per night. Ajax Ski Club is a privately owned Club, which has been part of the Mt. Buller landscape for more than thirty years. We provide comfortable and affordable Mt Buller accommodation only 300 metres from the heart of bustling, thriving alpine village. Ajax is a modern, carpeted and snugly heated lodge with roomy 4 and 6 berth bunk rooms. All have private ensuite facilities, with linen and towels supplied. At Ajax Ski Club all of our accommodation rates include FREE Breakfast and Dinner everyday. Because of this we have always been regarded as a haven for those who want maximum value from their skiing dollar. After a hard day on the snow, guests are invited to relax in our large sauna and spas or just wind down in our spacious lounge with other guests. We pride ourselves on our warmth and hospitality, and we especially cater for families. Ajax offers unique Mt Buller accommodation, being one of the very few Dinner, Bed and Breakfast lodges on the mountain. About the Special From $526.00 with 2 adults and 2 children included. Affordable accommodation in Mt Buller for couples and families. FREE Breakfast and Dinner included in the price. FREE use of all facilities, including the poool table, drying room, guest lounge with open fireplace and blazing fire, TV and DVD player. Editor's Comment Warm and comfortable accommodation. Having breakfast and dinner included really makes this excellent value.